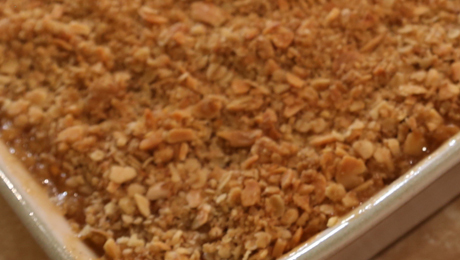 An easy and tasty crumble mix which can be made to be either sweet or savoury. Put all ingredients into a big mixing bowl. Rub in the small diced cold SuperValu butter. Remove SuperValu Rich Dark Brown Sugar from the ingredients list above. Replace with 150g grated Parmesan Cheese. You are now ready to make amazing savoury crumble. Rub in the small diced cold SuperValu butter and mix everything together. This can be frozen and used when needed, crumble stays crumbly.